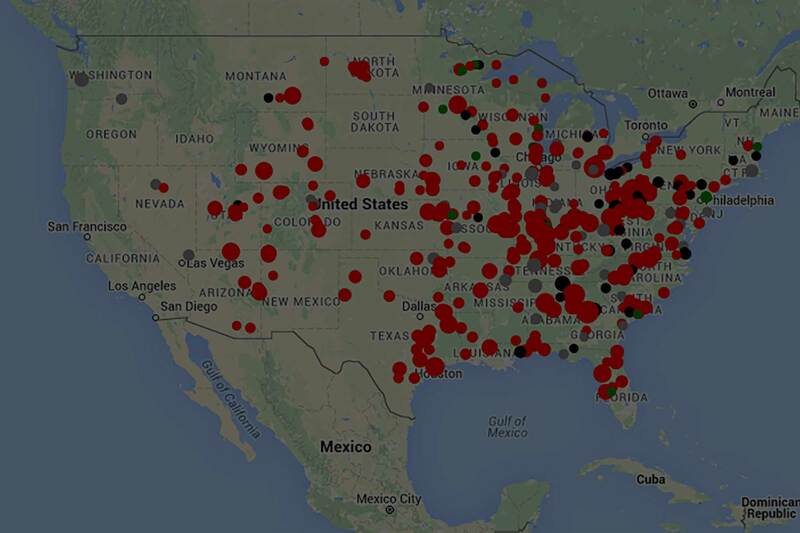 We have developed an online tool, CoalMap, to help activists, regulators, and the general public explore the economic costs of existing coal-fired power plants in the United States. Drawing from publicly available datasets, the tool identifies U.S. coal plants that are particularly vulnerable to shutdown efforts by comparing each plant’s average operating cost to the levelized cost of electricity (LCOE) for new utility-scale solar photovoltaic (PV) and wind generation in the same location. Users can apply different carbon prices and rates of cost decline for solar and wind, and observe the effects on the cost-competitiveness of renewable generation in future years. Our findings highlight the importance of sustained technology improvement and appropriate public policy in shifting the U.S. electricity generation mix toward low-carbon sources, and ultimately in achieving national climate-change mitigation targets. 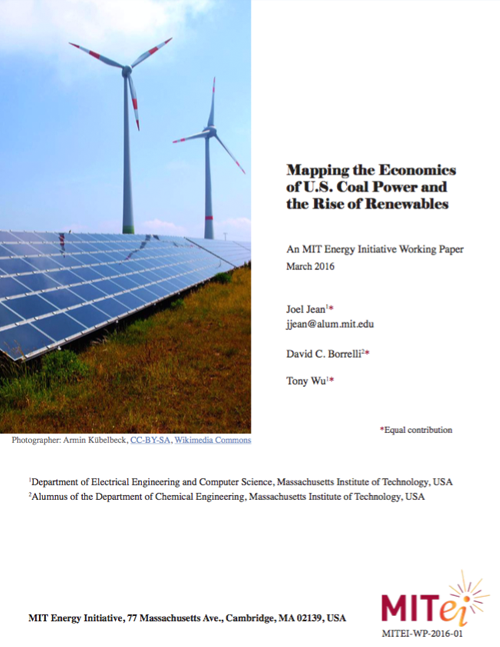 With 5% annual renewable cost declines and a carbon price equal to the U.S. government’s social cost of carbon, new unsubsidized wind and solar PV generation at existing coal plant locations will be cost-competitive with fully amortized U.S. coal plants by 2019 and 2031, respectively.